Strong on hair. Strong on style. Our innovative Keratin Protect Collection consists of an Intelligent Hair Straightener, a Hair Dryer, Curling Wand, Sleek & Smooth Heated Brush, Heated Barrel Brush and a Volume & Smooth Brush. All products are infused with Keratin and Almond Oil, which provides ultimate protection without compromising on results. Keratin Oil is a naturally occurring protein that is a vital element in strong, healthy hair. Straight. Strong. Styled – is a look that never goes out of fashion. 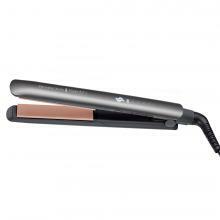 The Keratin Protect Intelligent Straightener – a revolutionary hair straightener which comes complete with a brand new improved patented intelligent heat protection sensor embedded into the top plate, the Intelligent Straightener reads your hair’s moisture levels 8 x per second, for a personalised styling session every time. Find out more. The Keratin Protect Curling Wand has a ceramic coated barrel, infused with Keratin and Almond oil, to give you shiny and healthy looking hair. The curling wand has a 19-22mm barrel which allows you to experiment with your look and create beautiful, bouncy, healthy-looking curls or seductively loose waves. Find out more. 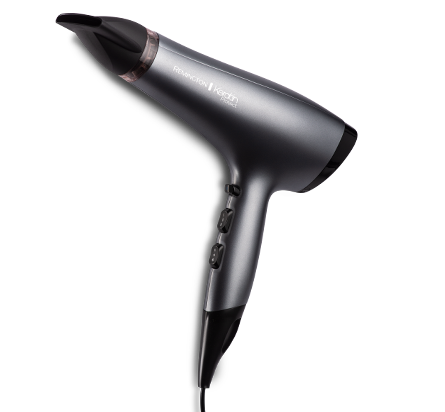 Our Keratin Protect Hair Dryer is designed to protect your hair from the effects of heat damage, so now you can achieve a sensational and healthy looking finish. The professional hair dryer’s advanced ceramic coated grille is infused with Keratin and Almond Oil to give you smooth, healthy looking blow dry results. Find out more. 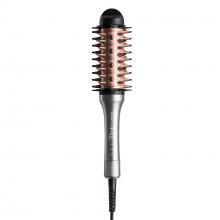 Turn up the volume using the Keratin Protect Volume and Smooth Brush. 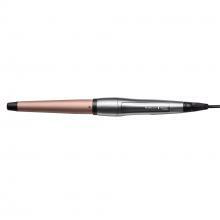 The heated brush features a 38mm barrel to add the kind of irresistible volume and bounce you would get from a blow dry. Designed to be gentle to your hair, the advanced ceramic-coated heated barrel is infused with Keratin and Almond Oil, giving a natural healthy-looking shine. Find out more. The Keratin Protect Heated Barrel Brush is the only tool you need to achieve voluminous blow dry style curls with a smooth and radiant shine. 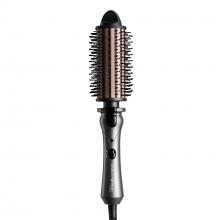 The heated volume brush has an advanced ceramic coated barrel, infused with Keratin and Almond Oil, which offers maximum protection and gives you gorgeous healthy looking hair. Find out more. The Keratin Protect Sleek & Smooth Brush combines a hair brush and a straightener, designed to help reduce your styling time. With Keratin and Almond Oil infused bristles, the large brush naturally takes on sections of hair, transferring micro-conditioners from root to tip. The straight brush lets you style your hair with confidence, knowing you’ll get fabulously smooth results. Find out more.